Prime Minister Benjamin Netanyahu discussed the planned US withdrawal from Syria with Russian President Vladimir Putin on Friday, the Kremlin said. The leaders stressed the need to strengthen military and diplomatic cooperation in Syria during the phone call, which was initiated by Netanyahu. “The discussion focused on developments in Syria, including in light of the United States’ plans to withdraw its troops from that country,” the Kremlin said according to TASS. “To that end, the parties reaffirmed their mutual determination to strengthen coordination through military and diplomatic channels,” it said. 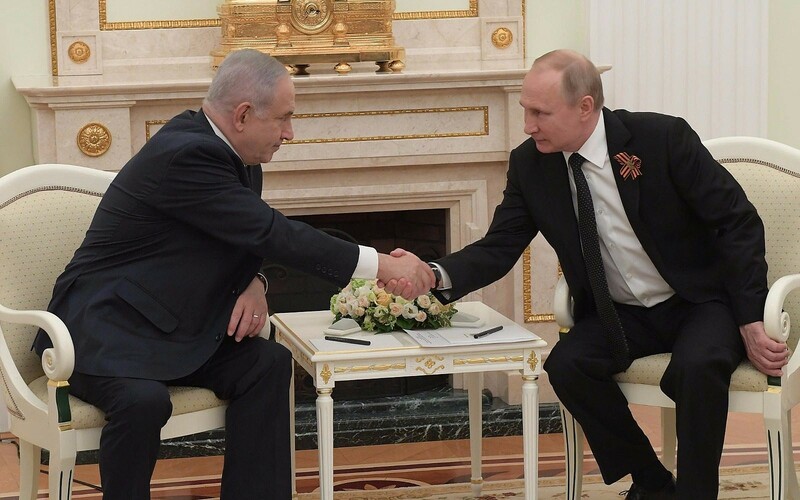 “Netanyahu congratulated President Putin and the Russian people on the occasion of the civil new year and expressed his condolences over the disaster in Magnitogorsk,” the statement added. The two countries have coordinated their military efforts in Syria in recent years to avoid friction and accidental conflict. Tensions recently reached a peak in September following the downing of a Russian aircraft by Syrian anti-aircraft fire during an Israeli airstrike, an incident Russia blamed on Israel. Despite the Russian anger over the downed plane, Netanyahu has reiterated several times that Israel will continue to act to prevent Iran’s military entrenchment in Syria and the smuggling of advanced weapons into Lebanon. The situation in Syria is set to become even more fragile after US President Donald Trump announced earlier this month that he will pull all American ground troops out of the country. The US had been leading the coalition against the Islamic State terror group, while also helping to thwart the establishment of permanent Iranian military infrastructure in Syria. The surprise announcement rattled Jerusalem, with Israeli officials expressing concern that America’s absence would open the door for Tehran to create a so-called “land bridge” from Iran, through Iraq and Syria, into Lebanon and to the Mediterranean Sea. This week, he sparked further consternation in Israel when he said that Iran “can do what they want” in Syria, appearing to give Tehran free rein to further entrench itself in the country, though he also said Iran was pulling its forces out of the country. 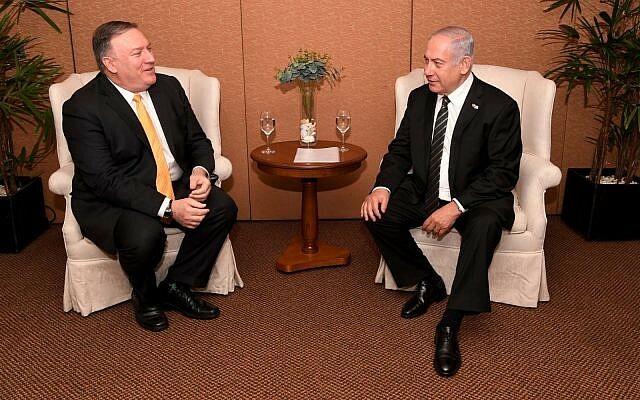 Meanwhile, US Secretary of State Mike Pompeo told Netanyahu this week the planned withdrawal of forces from Syria would not alter America’s commitment to countering Iranian aggression and maintaining Israel’s security. “The decision by the president on Syria in no way changes anything that this administration is working on alongside Israel,” Pompeo said at a joint press conference with Netanyahu in Brazil. This entry was posted on January 4, 2019 at 7:46 PM and is filed under Uncategorized. You can subscribe via RSS 2.0 feed to this post's comments. You can skip to the end and leave a response. Pinging is currently not allowed.